Bring the kiddos out for the most EPIC EASTER EGG HUNT ON ISLAND! 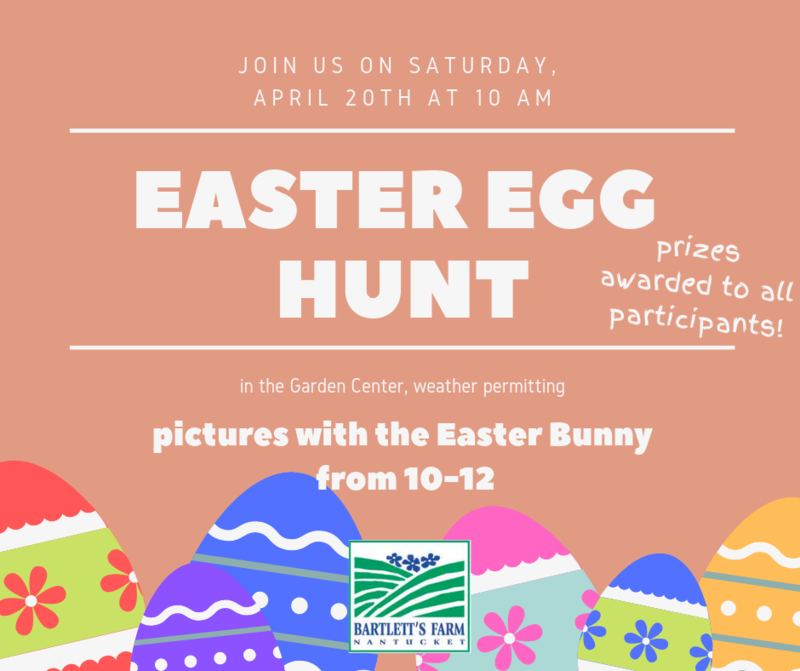 We will start the hunt in the Garden Center on Saturday, April 20th at 10 am. All participants get a prize! Pictures with the Easter Bunny will be available from 10 am until noon! This event is free for all ages!